Can you believe it’s time for another fun trunk show? Our Valentine’s shows are always such a bright, warm spot in the dreary winter. 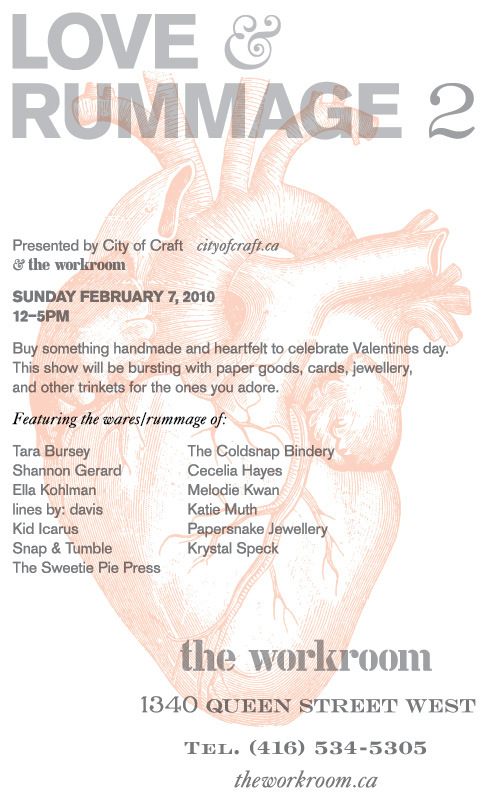 Check out the City of Craft blog to see detailed vendor profiles for some of the show’s talent. I hope to see you this Sunday! so exciting…. baking and printing away! john and i are coming! i can’t miss another trunk show!